Back in the summer of 2008, incurable Republican presidential candidate Newt Gingrich pushed the slogan "drill here, drill now, pay less," claiming that making the U.S. more oil-independent would be a solution to high gas prices. Democrats, worried voters would reject the reality there's nothing we can do to lower market-set gas prices and absolutely terrified of saying no to Big Oil, embraced the slogan. Later, President Barack Obama implemented it as our national policy. Six years later, how's drill baby drill working out for you? Today, while U.S. oil production is near all-time highs, gas prices also remain near all-time highs. Drill baby drill has been great for multinational oil companies, but terrible for American consumers. Meanwhile, we continue shoveling billions in annual taxpayer subsidies to those same oil companies. A side effect of higher oil production is that oil transportation disasters are also at record highs. Oil train wrecks and spills, gas pipeline explosions, and oil pipeline ruptures are skyrocketing. Our communities, wildlife and clean air and water are now at the mercy of our national petro-state. Note that gas prices hit their all-time high of $4.46 in July 2008 under President George W. "Texas Oilman Who'll Lasso Those Saudi Arabians Into Submission" Bush, well above the prior peak of $3.70 under President Ronald "Yes Another Oil-Friendly Republican Are You Seeing The Pattern Yet" Reagan. 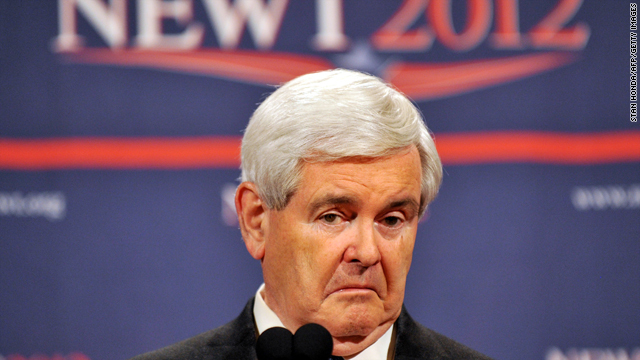 Aside from Big Oil's record profits, there was one other winner from Newt's drilling push. Gingrich got 1.5 million people to sign his petition, allowing him to cash in by spamming his big new email list. As Chris Hayes has said, "much of movement conservatism is a con and the base are the marks."